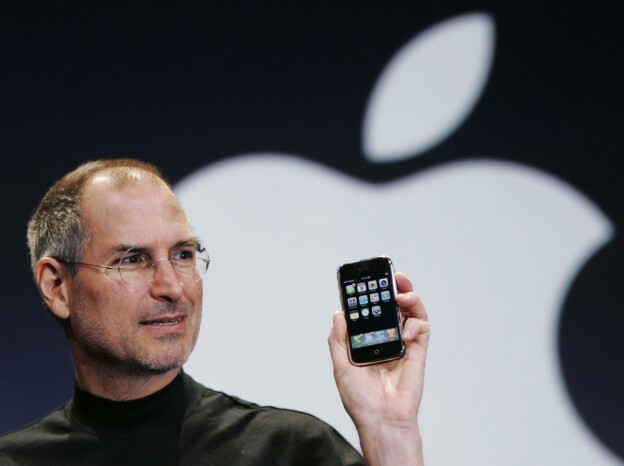 Steve Jobs unveiled the iPhone at Macworld on January 9, 2007 to thunderous applause. The revolutionary phone — a product that has now made Apple the top smartphone manufacturer in the world — then went on sale June 29, 2007 to long lines of eager customers and fanboys. Several years later, Jobs announced that the iPhone’s software would be called “iOS.” These two names, iPhone and iOS, have not only become a part of Apple’s core, but also staple, household names worldwide. Most people don’t know, however, the story of how Steve Jobs took both names from a enterprise/infrastructure company by the name of Cisco. Took? Well, steamrolled, really. Although Apple did invent the ‘i’ nomenclature with products like the iMac and iPod, Cisco owned the trademarks for both “iPhone and “IOS” many years before Apple. The Silicon Valley-based company has never been in the same market as Apple; Cisco has always focused on networking and enterprise while Apple has targeted the average consumer. Although Cisco has branched out into the consumer space with some of the most popular home routers and networking utilities around, the two companies are still by no means competing for the same thing. Giancarlo fielded a call directly from Steve Jobs. “Steve called in and said that he wanted it,” Giancarlo recalled. “He didn’t offer us anything for it. It was just like a promise he’d be our best friend. And we said, ‘No, we’re planning on using it.’ ” Shortly after that, Apple’s legal department called to say they thought Cisco had “abandoned the brand,” meaning that in Apple’s legal opinion Cisco hadn’t adequately defended its intellectual property rights by promoting the name. To Apple’s way of thinking this meant the name iPhone was available for Apple’s use. Giancarlo, who subsequently joined the prominent Silicon Valley private-equity firm Silver Lake Partners, said Cisco threatened litigation before the launch. Then, the day after Apple announced its iPhone, Cisco filed suit. The negotiation displayed some classic Steve Jobs negotiating tactics. Giancarlo said Jobs called him at home at dinnertime on Valentine’s Day, as the two sides were haggling. Jobs talked for a while, Giancarlo related. “And then he said to me, ‘Can you get email at home?’ ” Giancarlo was taken aback. This was 2007, after all, when broadband Internet was ubiquitous in homes in the US, let alone that of a Silicon Valley executive who had worked for years on advanced Internet technology. “And he’s asking me if I’m able to get email at home. You know he’s just trying to press my buttons—in the nicest possible way.” Cisco gave up the fight shortly after that. The two sides reached a vague agreement to cooperate on areas of mutual interest. Cisco had referred to its core equipment operating system as “IOS” (Internet Operating System) before Apple and Steve Jobs decided that the iPhone’s software would be given the nearly-identical “iOS” label in 2010. The second time around, Apple actually acquired the trademark before going public. Jobs got his way throughout the whole process negotiation process. Classic Apple. Classic Steve.